This year’s showcase was a full-day series hosted in Rock Falls, Mahomet, Jacksonville, and Vandalia. The series ran from March 18th-21st and featured overviews on many of the latest products from top education manufacturers for your 1:1 device initiatives and interactive classroom tools. The morning session was presented by Chris Elkendier with Technology Resource Advisors (TRA). Chris compared nearly 50 different devices including Asus, Acer, Dell, HP, and Lenovo during the TRA Chromebook device 2019 Overview. The afternoon session focused on the Interactive Flat Panel Offerings from the ILTPP RFP agreement with vendor partner Troxell Communications. Manufacturer representatives from BenQ, Boxlight, Newline, Promethean, and ViewSonic highlighted the latest technology features available in helping simplify lesson prep for teachers to engage and collaborate with students. This free event allowed for technology decision-makers to truly interact with the latest technology being implemented in Illinois K-12 schools. The presenters adapted to each of the four environments while remaining pleasant and captivating. Attendees were equally engaged. After doubling our previous years attendee numbers, ILTPP is pleased to announce that we are already working toward plans for a 2020 Showcase! 96% of surveyed attendees were satisfied with the event. 100% found at least one of the two sessions (46% both) to be useful and informative. 88% of those surveyed are likely to make a tech purchase based on the information shared. 88% are likely to attend the 2020 Showcase. As a US K-12 district or independent school interested in buying Chromebooks and Chrome Education licenses in 2019, you may be eligible to receive free services along with your purchase. You may choose from one of three available service offerings: IT / Deployment Support, Professional Development, or Transformation Services. Complete your Chromebook & Chrome Education license purchase. Confirm your purchase by filling out this form and select the service that’s best for your organization. Work with your partner of choice! To learn more about this incredible offer, check out Google for Education’s informative flyer here. Schools across the nation have deployed (and continue to deploy) mobile learning initiatives. One device that is frequently mentioned for 1:1 programs or use in the classroom is the Chromebook. 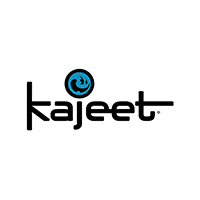 To uncover more about this popular student device, Kajeet surveyed 908 K-12 professionals across the United States to learn about Chromebook usage in their schools and school districts. Troxell has been a national leader in education technology and collaboration solutions for over 60 years. 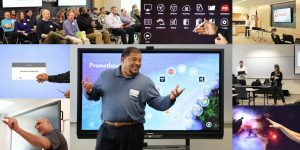 ILTPP has chosen Troxell as the preferred provider for Interactive Touch Screen Displays, in partnership with Boxlight and its ProColor 65-inch and 75-inch panels. Boxlight Corporation is a leading provider of technology and STEM solutions for the global education market. Under this new contract, ILTPP has granted Boxlight exclusive pricing for all Illinois K-12 educational entities through Troxell. The goal? Provide classrooms with transformative, innovative technology solutions. Click here to learn more about our newest Troxell and Boxlight contract, effective January 1st – December 31st, 2019. On October 15, 2018, Adobe announced updates to Creative Cloud, called the Creative Cloud 2019 release. These updates provide access to the latest features and services available within the Creative Cloud. Customers with named-user license entitlements can update today. Creative Cloud 2019 is not available on device-based licenses, so device license customers should not attempt an update at this time. If you or your device license users have already tried to update, the Creative Cloud 2019 apps installed on the machine will run in trial mode. To convert the device back to Creative Cloud 2018, you will need to deactivate the device in the admin console, uninstall all Adobe products and create a new package with the Creative Cloud 2018 applications using the Creative Cloud Packager. Adobe has been working to provide a new shared device license to our education customers who use Creative Cloud in shared environments, such as labs and classrooms. This will ensure access to new cloud-based apps, as well as Creative Cloud services such as cloud storage, Adobe Fonts, and Portfolio. This new shared device license will be available in Q1 2019, at which point we recommend you update to the latest version of Creative Cloud. For more information, please review Adobe Lab Licensing migration assets to help IT staff and administrators plan, resource and execute the migration to shared device licensing. Adobe Device Licensing Migration Workshop recording for K-12 and higher education recording. Learn more by checking our Member Center resources or contact one of our Adobe Authorized Resellers. 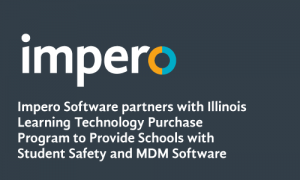 Austin, TX, Sept. 6, 2018 – Impero Software, global specialists in remote monitoring and management software for education has partnered with the Illinois Learning Technology Purchase Program, a statewide cooperative of Illinois K-12 educational entities, to provide Illinois schools with student safety software and mobile device management solutions. Impero Education Pro is a cross-platform solution consolidating classroom management, network management, and student safety. It is compatible across Chromebooks, Windows, Mac OSX and iOS. The software provides real-time monitoring of student devices and keyword detection to help schools and districts identify potentially harmful or inappropriate content and activity. Impero has developed its keyword libraries by working with leading charities and specialist organizations, including Mental Health America (MHA), the Internet Watch Foundation (IWF), SafeBAE and Hey U.G.L.Y. Impero Software offers remote monitoring and management software, relied upon by education establishments around the world. Founded in 2002, Impero software is now accessed by over 1.5 million devices in over 90 countries. Impero is used by more than 1,400 UK high schools and in more than 500 U.S. districts. Impero’s cutting-edge EdTech software consolidates a range of powerful classroom, network and device management features enabling schools and colleges to reduce costs and improve both staff and student productivity. Impero’s sophisticated online safety functionality uses keyword detection technology to help schools safeguard students online. For more information visit: www.imperosoftware.com. Chicago-based Otus, a student performance platform designed specifically for K-12, has released several product enhancements to support school organizations initiatives with standards. The system now provides options to associate assessments built on the system with state, common core, NGSS, or custom standards, providing real-time analytics on student’s proficiency and growth toward mastery. Chris Hull, co-founder and Chief Product Officer, cites the nation-wide movement toward standards-based grading as the key to prioritizing this development. “The ability to easily collect, analyze, and act on student data measuring the proficiency of standards is a common issue many schools face. With these updates, we’re making it easier than ever to see where students are on targeted standards in real time so educators can identify needs and respond accordingly.” With over a dozen school districts in Illinois adopting the platform in the last year, Otus’ integrated learning, assessment, and data management tools are helping schools create a data-rich 21st-century learning environment for teachers, administrators, students, and parents. To learn more, visit www.otus.com. Make sure you check out the ILTPP contract details to save on your next purchase. Smart Play, new to the company’s content filtering solutions for schools, leverages machine learning to make appropriate online video access possible for K-12 students. SAN ANTONIO, TX. — August 1, 2017, at the International Society for Technology in Education (ISTE) annual conference, ed-tech solution provider Lightspeed Systems unveiled Smart Play, an innovative new tool to ease safe video streaming in K-12 schools. Backed by a video database of 26 million videos and counting, this groundbreaking feature opens educationally valuable videos to students while protecting them from explicit and graphic content. Ensuring students have access to appropriate online video content is one of the top IT challenges K-12 schools face today. Giving students unrestricted access to sites like YouTube and Vimeo makes unsafe content available, violating Children’s Internet Protection Act (CIPA) standards; however, blocking all access to these sites limits valuable educational opportunities. While solutions for this issue exist, they have been difficult and time-consuming for schools to implement. Smart Play — available within Lightspeed Systems’ Web Filter and Chromebook filtering/monitoring solution Relay for Chrome — utilizes machine-learning technology to analyze video content and make an unrivaled selection of educational videos available to students. At the time of launch, Smart Play’s database included more than 26 million videos, and hundreds of thousands of videos will be added to this total each day. IT administrators using Web Filter or Relay for Chrome can enable this revolutionary new tool with just one click in the solution’s interface. To learn more about Lightspeed Systems Web Filter and Lightspeed Systems Relay for Chrome, visit http://www.lightspeedsystems.com. Lightspeed Systems partners with schools to make learning safe, mobile and easily managed. Partnered with 6,500 districts in the United States and 25,000 schools around the world, Lightspeed Systems offers integrated solutions for smarter K-12 school networks: Web Filter, Mobile Manager, Management Bundle for Windows, and Relay for Chrome. To learn more, visit http://www.lightspeedsystems.com. For more information and how to access the ILTPP contract CLICK HERE.